Just got this great desk pad set from CushionCare. I love these little pads. I am always on the computer (probably about 8-10 hours a day), between blogging, work, and reviewing. I love these because they are so comfortable when you are typing for a lot period of time. They are made of a thick durable foam. The pads have memory foam inside them that makes them old to your hand, very comfortable and soft. You get the keyboard pad that you can lay below the keyboard. You also get a mouse pad that has a large surface for move the mouse around and a pad at the bottom to rest your hand on. Very nice set. 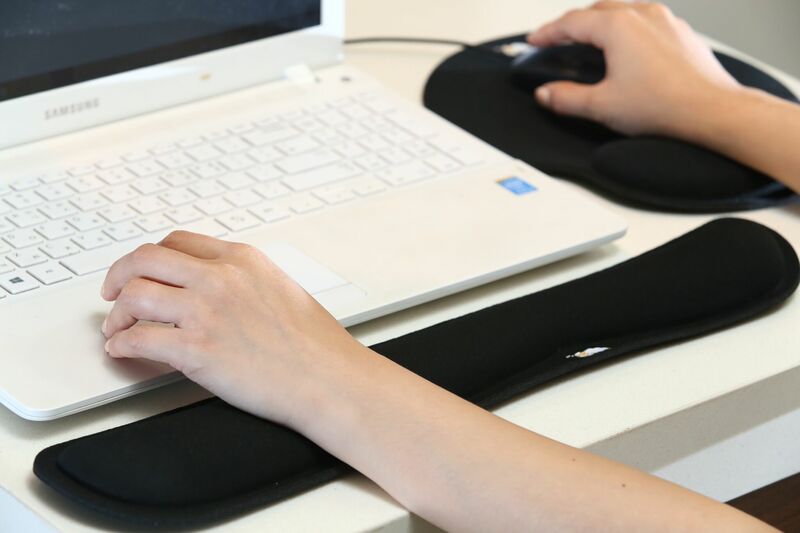 SO EASY TO USE – This Keyboard Wrist Pad Conforms to Hand Weight, yet does not lose its Shape. Its non-skid backing holds pad firmly in place. COMFORTABLE TO USE – The CushionCare Keyboard Wrist Pad conforms to wrists for exceptional comfort.